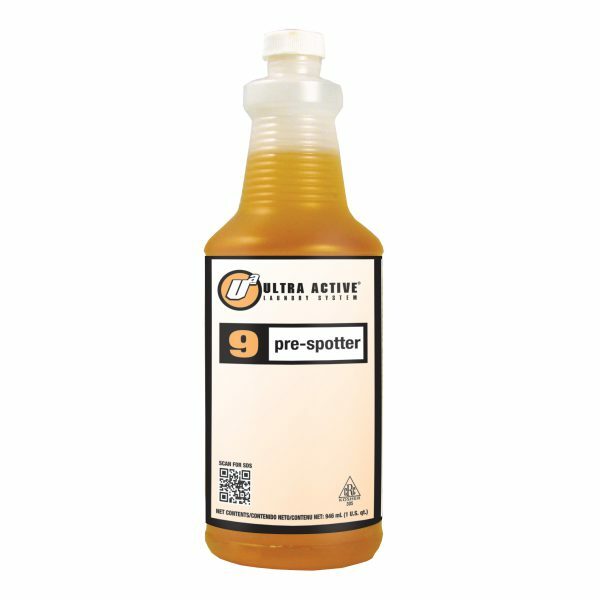 Ultra Active® pre-spotter is a concentrated laundry pre-spotter and additive designed exclusively for use in the Ultra Active® Laundry System. The unique formulation immediately penetrates the fibers, solubilizes stubborn soils/stains and prevents redeposition. Ultra Active pre-spotter is a must for all laundry operations.